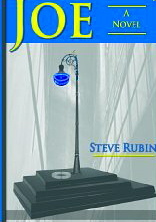 Joe Elliot is an aspiring novelist who’s latest effort is a fictional tale of technological marvel: a system of computers, satellites and machines that scans the entire planet. It’s called ‘W.E.B.’ The‘Worldwide Electron Band’ and it tells the operator everything about anything or anyone. The ultimate ‘Big Brother’ machine.A wealthy, eccentric artist reads an early draft of ‘W.E.B.’ and decides that she wants to build one; a smaller, personal version to create ‘the ultimate piece of modern art’ a system that scans visitors and can tell them anything, even the most minute details, about their lives. Others begin to spy on the system as it is being built. Their equipment creates conflict, inadvertently spawning a whole new type of artificial intelligence which brings others into the mix, men who are not interested in the art and only seek control over the technology. A laugh-out-loud funny, unique, character-driven story. Agent and publishing inquiries welcome.